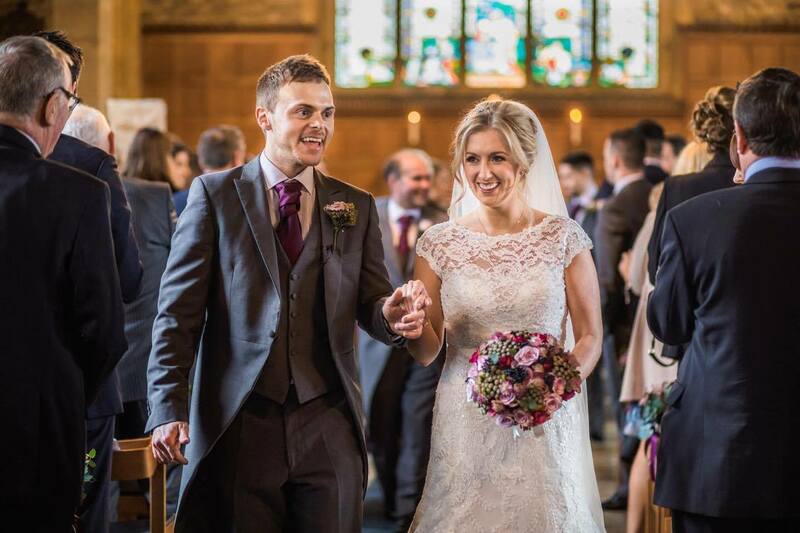 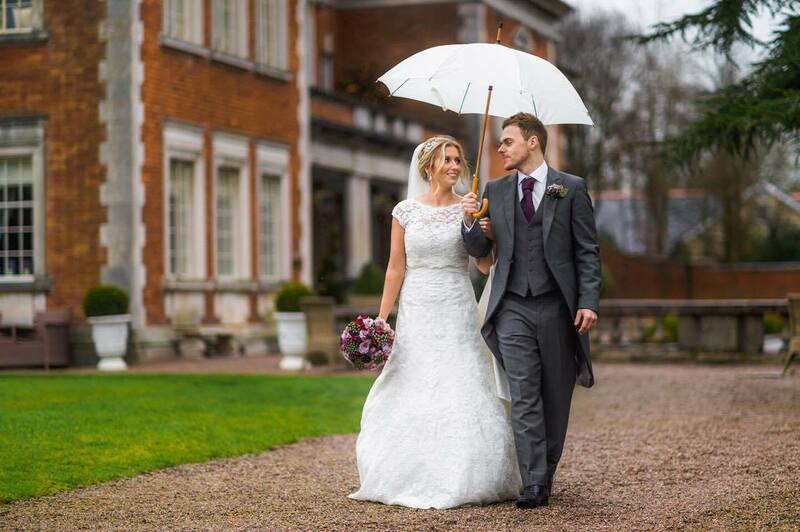 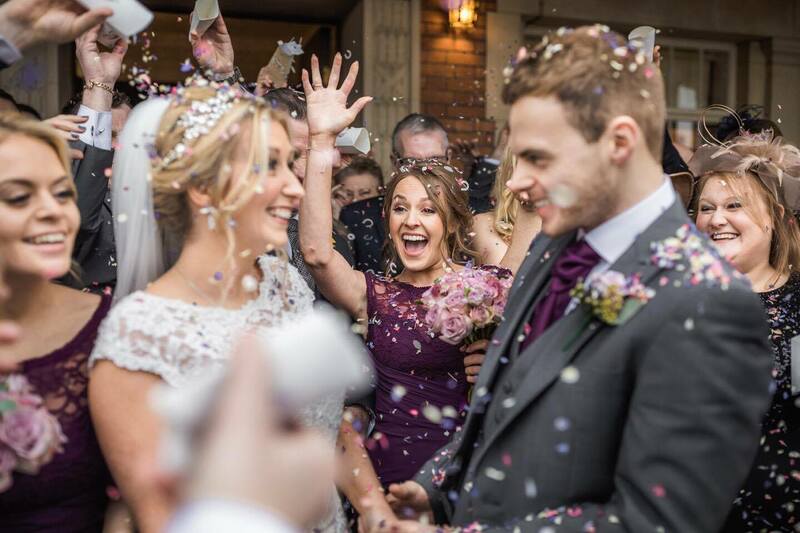 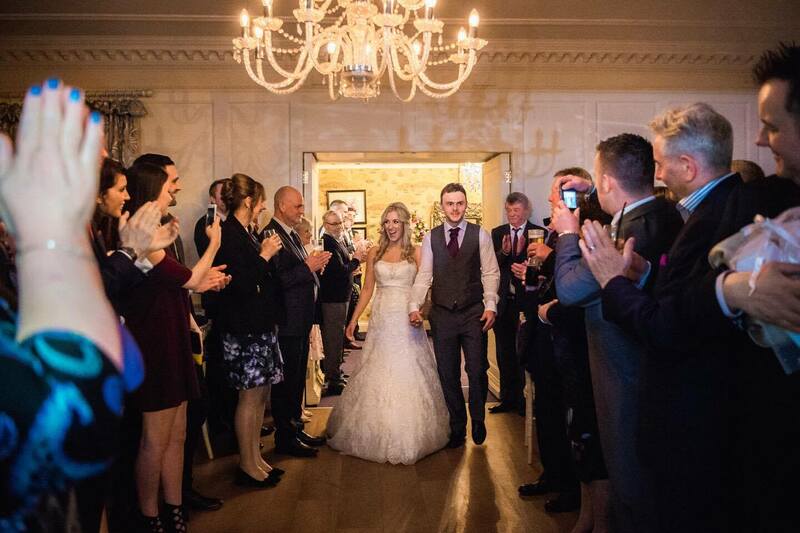 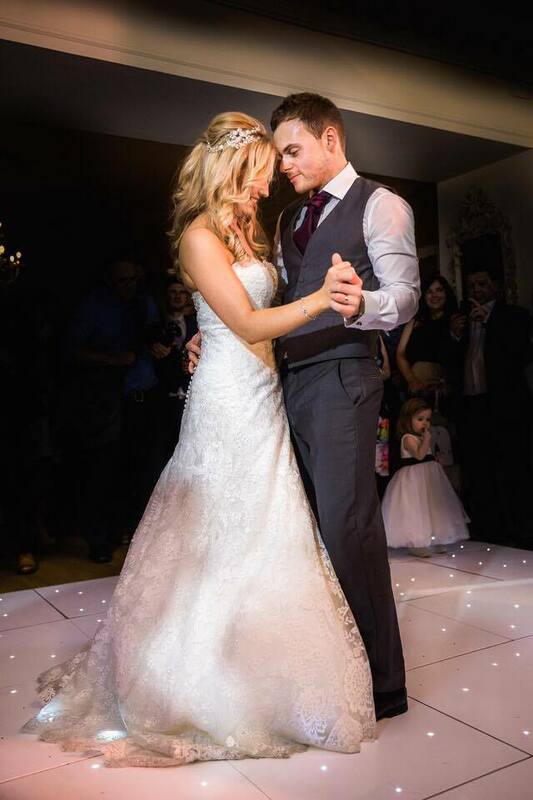 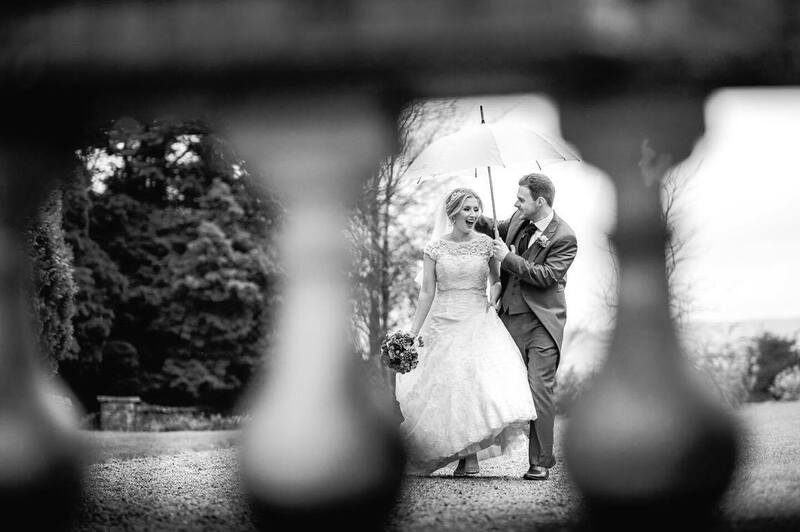 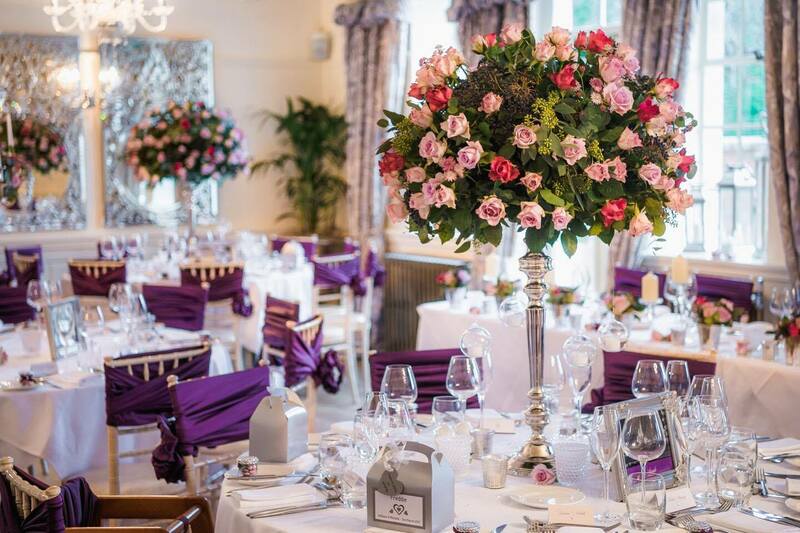 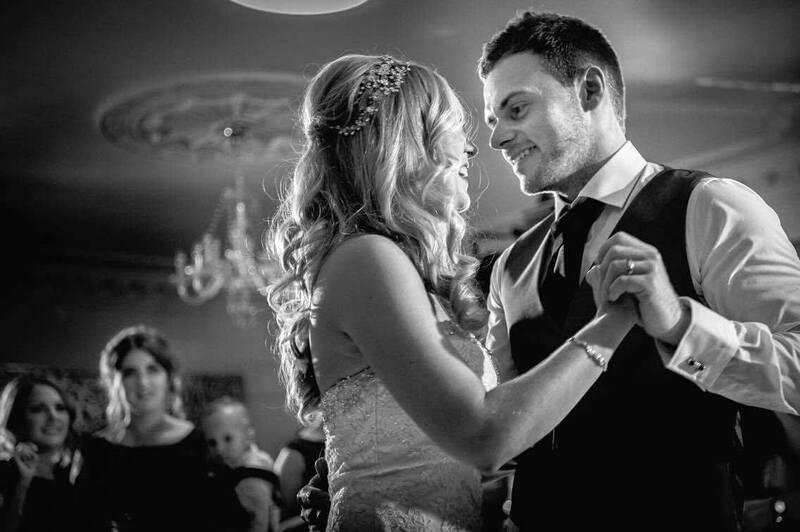 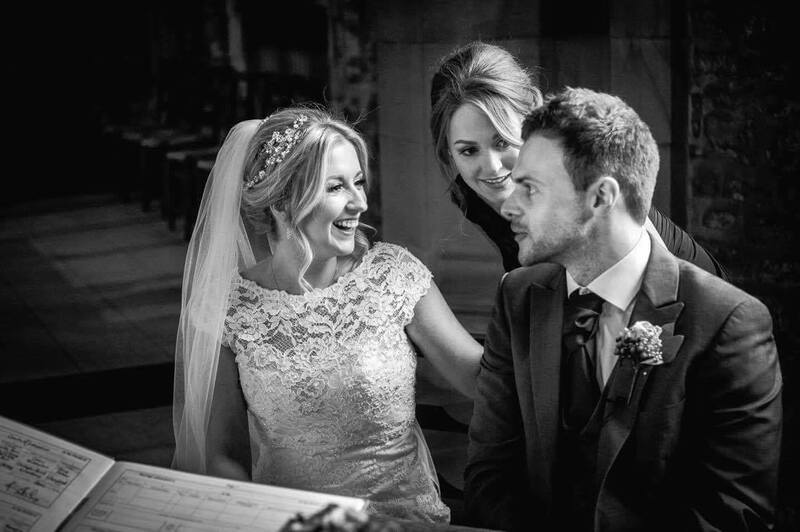 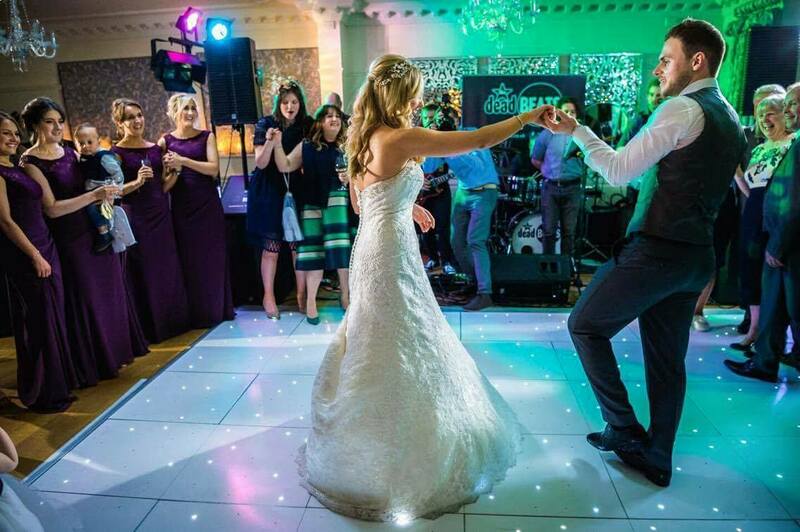 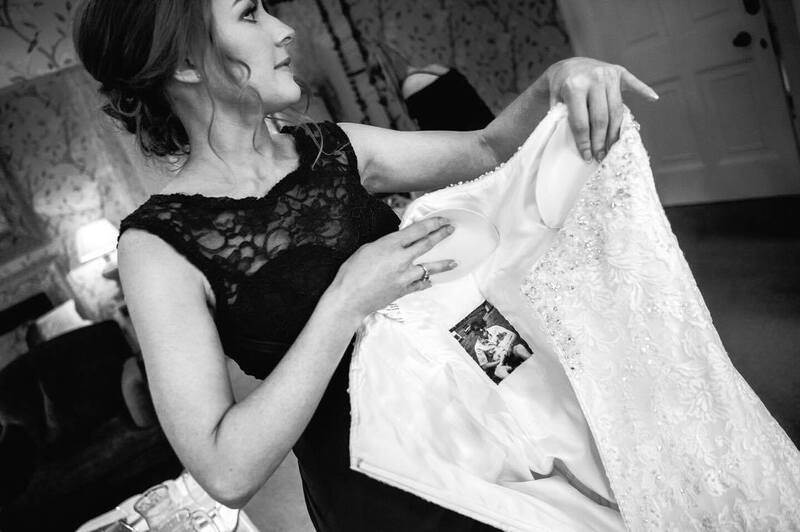 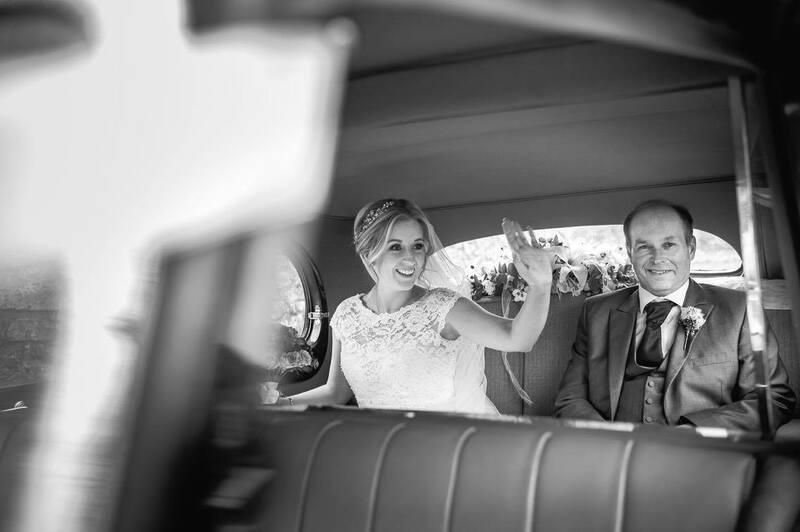 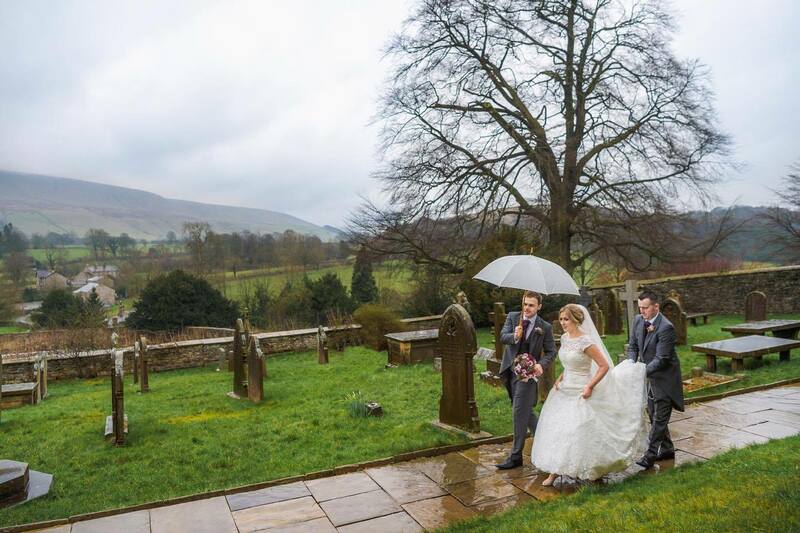 Michelle and Will tied the knot last month at the fabulous Eaves Hall in West Bradford. 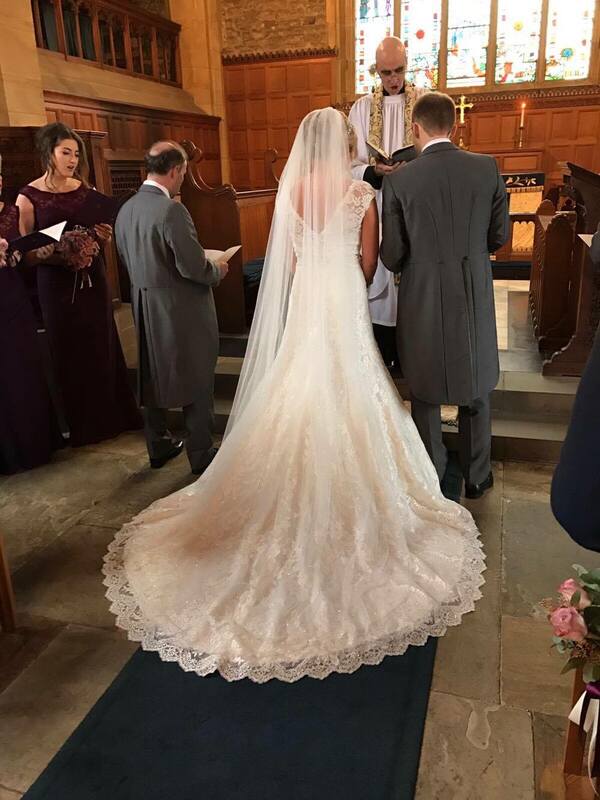 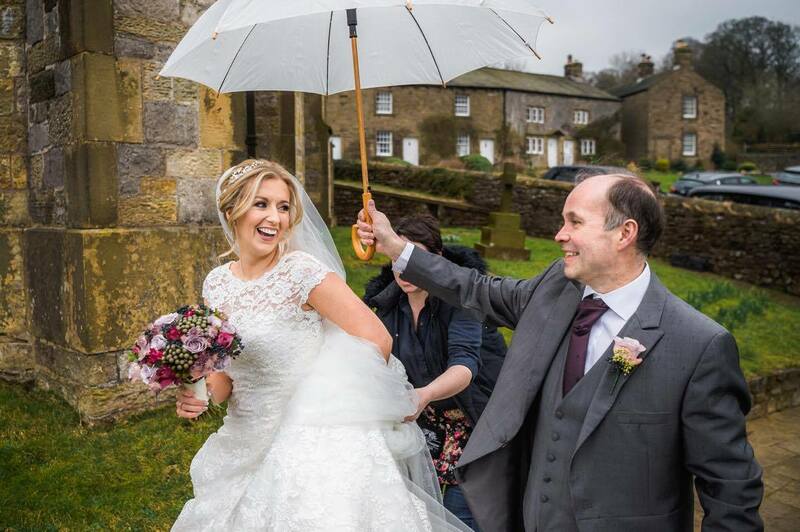 Michelle, Will and their family were so excited every time they visited us at our Clitheroe boutique, it was an absolute pleasure to meet them all and be part of their journey to becoming Mr & Mrs.
Michelle wowed in her Mori Lee bridal gown which she chose to customize with a removable backwards lace jacket, train length italian tulle veil, and stunning hairpiece by Eleventh Heaven by Ann McKavney. 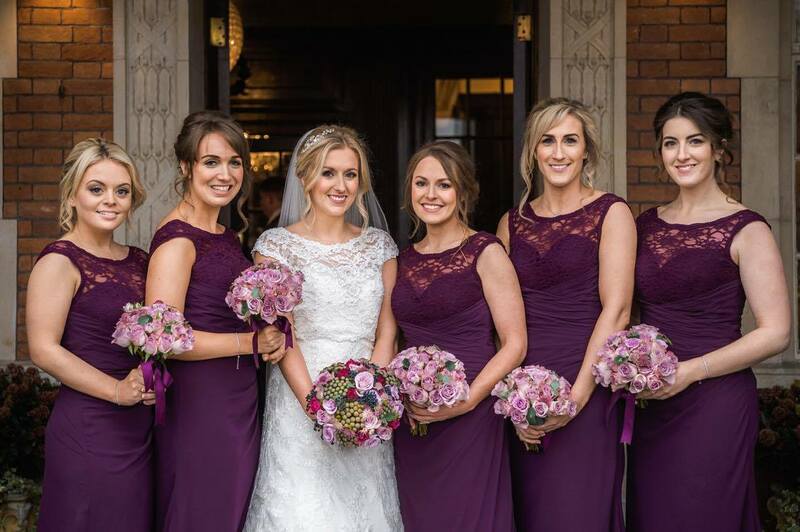 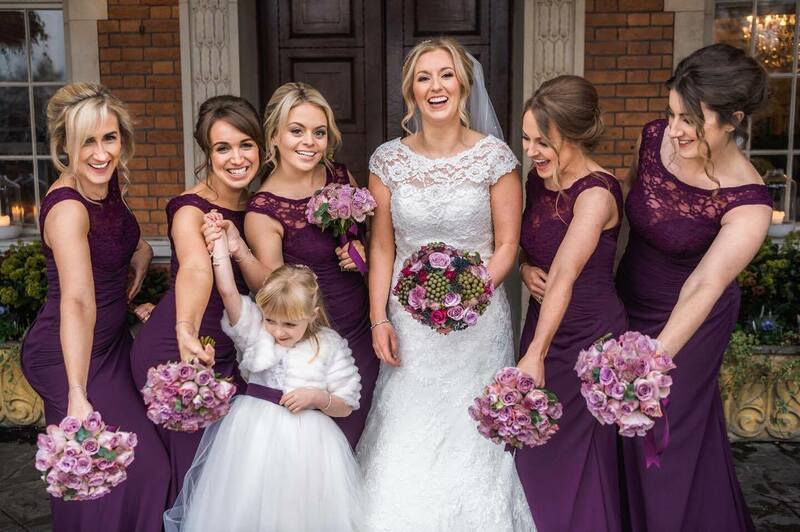 Bridesmaids wore style 105 by Mori Lee in a sumptuous Eggplant colour. 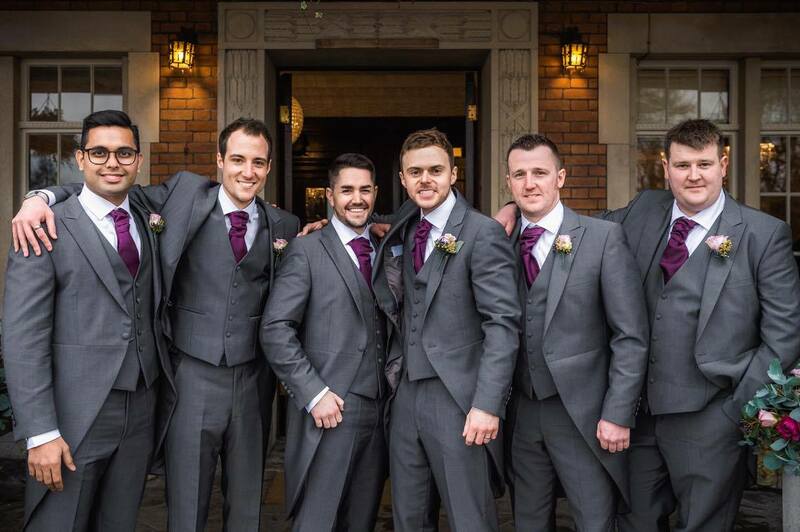 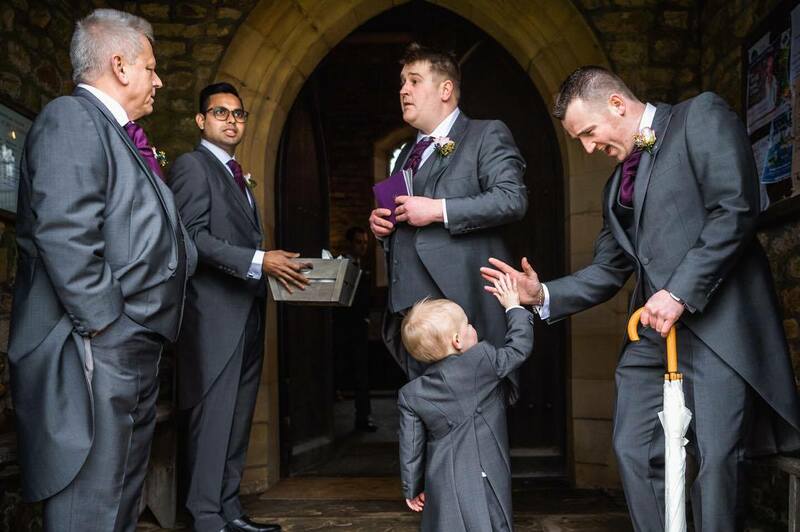 Will and his groomsmen were styled by Menswear @ Amelias, who looked great in their slim fit mid-grey 3 piece suits, with matching Eggplant cravats to match the bridesmaids dresses perfectly.